Add some joy and keep spirits up this winter with a stunning water fountain. If you are as passionate about gardens as us here at Geoff’s Garden Ornaments, you won’t let winter get in the way of maintaining and creating a beautiful outdoor space to be proud of. If we neglect our gardens throughout the winter, it can be disheartening and deflating to look outside and see a drab looking garden. It makes us reluctant to enjoy and make the most of our outdoor space and to enjoy the winter season. We believe your gardens are as important as the indoor spaces of your home so don’t let it go to waste this winter. Instead, make the most of it and enjoy the garden all year round with one of our beautiful water fountains. A change of season will, for many, be an opportunity to make some changes to the home. Maybe a repaint with some autumnal colours for a seasonal, warming feel. Maybe a whole revamp of some of the rooms to make the harsh winter months a bit more bearable with some lovely new furnishings and design. Why not consider a new look for your garden this winter? Despite the infamous British weather, our garden can still act as a room in the house we can get enjoyment out of this season. Add a garden water fountain to your garden and enjoy months of pleasure admiring this beautiful feature. With a water fountain from Geoff’s Garden Ornaments, instead of looking outside onto a tired, beaten, neglected looking garden, you can admire an outdoor paradise with one of our water fountains from our fantastic selection. Instead of watching the rain beat down day in day out, your attention will be drawn to the beautiful garden fountain standing proudly on your lawn. We have a selection of large ornate garden fountains which really will beat those winter blues. Looking out onto this sophisticated feature will make it hard to feel downhearted whatever the weather. With a water fountain from Geoff’s Garden Ornaments you really can have a garden to be proud of all year round! Of course, the autumn and winter seasons do not necessarily mean endless rain. In fact, one of the best things is a crisp, fresh, bright winter/autumn day. Don’t waste time that could be spent enjoying your garden during this fantastic weather! Take some time out by the fountain and enjoy the autumn scenery. The colourful leaves, the autumn wildlife, the conkers. A garden water fountain can be a really atmospheric piece that can allow you to make the absolute most of your outdoor space. Why not invite friends round, wrap up warm and sit round the fountain with a glass of wine and watch the sun set in the evening? With water fountains from Geoff’s Garden Ornaments, you really can unleash the potential of your garden this winter. To see our fantastic range, visit our website now. Many people say that they have always dreamed of having garden fountains, but they fear that their garden is too small or otherwise unsuitable. What they have is a real desire to enjoy the soothing tranquility only the sound of falling water can bring. Many water features, garden fountains and stone fountains are now comparatively small and do not require any foundations to be laid. Above-ground garden fountains sit on a plate and are easy for anybody to assemble without any tools or DIY expertise. The same goes for self-standing models. Any corner of the grounds, or patio area, can support a free-standing pedestal fountain, which operates with hidden cabling. The tiniest pocket handkerchief of a garden can be enhanced with the gentle trickle of cascading water by erecting a garden feature such as this in an otherwise neglected nook. Even a wall can support an elegant and lovely fountain, if space is really at a premium and the classical-looking lions’ heads bring a noble touch of Ancient Rome to the English terrace. A larger wall fountain can transform a dingy courtyard into a haven of peace and harmony. Ball fountains are another contemporary choice. They have remarkable mesmerising qualities as the water glides in a sheen over the orb. A wide front step would allow room for one of these striking beauties and make a strong style statement to the front of any home — even one where there is no garden at all. For the ultimate in patio or hard-standing meditative pieces, a Buddha fountain supported on a bed of shining river pebbles is a beautiful addition to promote well-being, calm and spiritual peace. For those who dream of larger pond-style fountains, hard landscaping solutions can often be found, relatively inexpensively, to level the ground. You can use a small digger to make space for an in-ground model. Creative gardeners also have the choice to design their own bespoke pool. Please don’t hesitate to ask us for advice if you have concerns about the suitability of any of our garden fountains for your particular patch. The number is at the bottom of the page and we are happy to chat, or you can send us an email if you prefer. Although 2013 has been a notable summer in terms of the strength and length of the sunny days, sunshine is not something we can really take for granted in the British Isles. This might put some people off when it comes to considering the choices available for powering garden water fountains. The principal fear is that in opting for a solar-powered pump, the garden water fountains will be compromised by a weak water flow, spoiling the overall effect. Solar energy does not, however, rely on a constant stream of heat and light emanating from the sun, despite its name. In solar technology, it is the energy from the sun that is captured in photo-voltaic cells. Effectively, this means that even on a cloudy day the energy is continually being harvested. The cells then convert the sunlight energy into electricity, which can be used to run all manner of appliances in a green, cost-efficient and eco-friendly fashion, including garden fountains and even fairy lights. As gardeners tend to be nature lovers, it is a highly appealing system to work in tandem with the elements to run one’s garden water fountains in this way. It is also pleasing to see no impact on the domestic electricity bill. Another concern may be regarding maintenance issues, but these are minimal. A solar panel merely needs to be cleaned with mild soapy water to remove any dust, bird droppings, dead leaves or snow. Some natural cleaning will occur with rainfall. In siting the panel, it is important to take overhanging trees into account, as excessive shade will impair performance. Solar PV is extremely resilient and long-lasting and is unlikely to need replacing for at least 25 years. Freestanding, self-contained or pond fountains all come with the option of a solar-powered pump. These stone fountains are also in a range of classic textures from sandstone to white limestone, which age beautifully. Painting the stone with a weak solution of natural yoghurt is an interesting technique to further encourage an antique “mossy” effect, if so desired. For further explanations of the reliability of solar power in garden water fountains, please do give us a telephone call. We would be happy to welcome you and provide demonstrations if you are in the area. Water fountains first appeared in the ancient Middle East and they can be seen on the wall paintings on Egyptian tombs. They were often rectangular and lined with trees, providing a cool sanctuary to rest from the heat of the sun. They would often feature in the inner courtyard of a home, with the walls providing another barrier against the blasting hot temperatures outside. It was the Persians who really started to make complex architectural stone fountains. The Romans had elaborate public-bathing rituals embedded in their culture and communal pools with fountains were a feature of every Roman town and city, as we see today in many famous ruins. The Spaniards, Indians, Chinese and Japanese all have long history of exquisite fountain design dating right back to the 15th century. It was Renaissance Italy that saw a huge boom in the ingenuity and complexity of water features and spouting water fountains and waterfalls were copied throughout Europe. King Louis XIV of France, the Sun King, was a fountain enthusiast and used them to enhance his own reputation as a conqueror — in this case, over nature. The gardeners at Versailles combined shooting water from fountains with music and fireworks to create great spectacles. These were not the first ever musical fountains, though, as some were described as long ago as the first century AD by Hero of Alexandria. By the late 18th century the trend turned towards more natural-looking fountains in tune with the elements, such as those at Stourhead in Wiltshire which were created to resemble an Arcadian paradise. In the 20th century water fountains had long since lost their essential function as a source of drinking water and found their way into everyday spaces such as shopping malls and office buildings. Ever more amazing water fountains continue to be designed and constructed as they never seem to lose their hold on the collective imagination. The tallest continually running fountain in the world is now fed direct from the Red Sea and shoots 260 metres into the air in Jeddah, Saudi Arabia. The Middle East may be the originator of water fountains as garden feature, but they have gone on to be the exponent of cutting-edge technology and breath-taking design. If you would like to continue the age-old tradition of having a water fountain in your garden, why not give us a call? We would be happy to talk you through the many varieties available and the simple installation process. Summer will soon be drawing to a close as we all brace ourselves for another British winter. The beautiful weather has meant that we have had the pleasure of enjoying our gardens and outdoor spaces without having to dash inside at frequent intervals when the heavens open and the rain begins to pour. Make the most of what the rest of the summer has to offer and get the most out of your garden. After providing you and your families with a summer of fun, why not give your garden a bit of TLC with beautiful new garden water fountains from Geoff’s Garden Ornaments. Perhaps you plan on cramming in some late garden parties and bbq’s before summer departs for the whole year? Geoff’s Garden Ornaments offer a fantastic range of water fountains that can really spruce up your garden and certainly give it the wow factor! Get your neighbours chatting and own the garden everyone wants the pleasure to admire and visit. We have a wide range of fountains which will fit perfectly in your garden and make it feel like a whole new world! Choose from our different stone colours, sizes and designs to find the perfect one for your space. Perhaps you want to go all out with a feature fountain with circular pool surrounds for a grand and sophisticated look? Or perhaps you’d prefer a more elegant and understated look with a free standing self-contained or pond fountain? You will find a wide selection at Geoff’s Garden Ornaments. Our fountains can offer a sense of tranquillity and a feeling of paradise just by their very presence. Of course these water fountains can be perfect for any garden and not just for ones that host many parties. Maybe you have a very stressful and chaotic life. If so, your garden could become your new favourite place to relax! Sit back with a glass of wine, light some candles, or get an outdoor lamp, and listen to the water trickle from your beautiful water fountain. You will feel transported to a paradise of tranquillity. To browse the beautiful range of garden water fountains, please see our website. Here at Geoffs Garden Ornaments, we have been providing beautiful garden water fountains to homeowners throughout the UK for over 25 years. We have built a fantastic reputation on providing quality stone fountains, ornaments and statues. From our free standing self-contained water fountains to more elaborate feature fountains, we have the ideal focal point for any garden, large or small. Whilst our garden stone fountains add that something extra to any garden, they also pose a potential risk to children, especially if left unsupervised. It goes without saying that children need constant supervision around water, whether in bathtubs, swimming pools, lakes or even water fountains. Children can drown in less than 2 inches of water and so it is essential that children (young children in particular) are constantly watched when around water. Further to this, it’s important to teach your children about the possible dangers of playing in and around stone fountains. They should know that the fountains are there for decorative purposes only as opposed to being an area of play. Ensure that you teach your children to never run, jump or push others when around fountains and other sources of water, such as ponds. Even in winter when the fountain is frozen over, it is important for your child to realise that they can still fall through the ice despite how thick it looks. Although these precautions are to ensure the safety of children when around water fountains, they also help to make sure that your new garden focal point is not damaged in any way. We have a wide range of stone fountains and are sure we will have the ideal one for your garden, regardless of your personal tastes and requirements. Along with a variety of designs and sizes, our fountains come in a range of different stones from classic limestone and white limestone through to sandstone and antique stone. You will be spoilt for choice at Geoffs Garden Ornaments! For more information, please visit our website where you can browse our entire range. Should you require any further guidance or advice, please do not hesitate to contact a member of our team who will be more than happy to assist. This summer your garden is truly the place to be, with the glorious weather we are having nothing beats soaking up the sun in your own garden or yard. Whether you have a beautifully manicured garden already or want to spruce your garden up after the harsh winter, adding a water feature to your outdoor space is a perfect way to give your garden some life and make it a place you want to spend time. No matter how big or small your garden is here at Geoff’s Garden Ornaments we pride ourselves on our exquisite range of stone garden fountains. To inspire you to experiment with different uses of water on your own property there are many amazing famous water fountains around the world using water displays and beautiful works of stone to create stunning sites. Whatever size your garden is we have the perfect garden fountains for you! In front of the Taj Mahal in India lies a 17th century Persian inspired large-scale water feature. Incorporating an intersecting t-shape of two water canals you can take a long walk along the side of this water feature situated within beautiful gardens and ending at the entrance to the palace. Along the two main pools a series of water fountains take centre stage and add an extra depth of beauty to the palace. Las Vegas is renowned for going above and beyond to go big! Situated outside the Bellagio Hotel sits the breath taking Fountains of Bellagio. 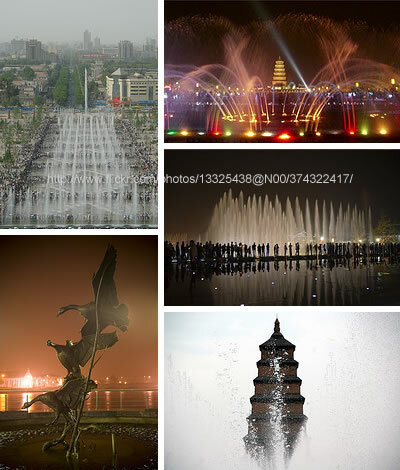 This water fountain is truly high-tech and uses computer technology and lighting to entertain observers with choreographed performances to pieces of music within a 9 acre man-made lake. It is possible to stage such incredible displays with the network of underwater pipes and over 1,200 nozzles, coordinated with over 4,500 lights. 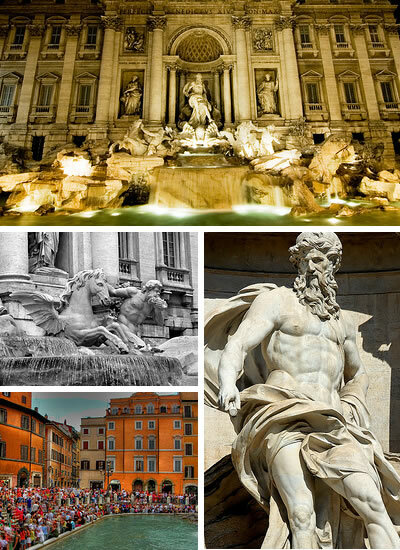 Perhaps the most famous water fountain in the world the Fontana di Trevi features one of Italy’s most beautiful sculptures. The fountain stands 25.9 meters high and 19.8 meters wide, with stunning sculptures of Neptune and two tritons, one trying to tame a fiery horse and one blowing a shell-horn which symbolizes the rough sea and the quite sea. Legend has it if you throw a coin into this beautiful fountain you will one day return to Rome. A water feature in your garden is inspiring and adds a new dimension to your garden. A relaxing trickle of water from our free standing self-contained fountains or the beautiful display of water from our larger feature fountains will bring your garden alive this summer. Our garden fountains will transform any type of garden whether you have acres of land or a small town garden. Italy is a country blessed with many beautiful sculptures, but this one, towering over visitors at 25.9 meters (85 feet) in height and 19.8 meters (65 feet) wide, can lay claim to be one of the most beautiful in the world – if not the most beautiful. Originally commissioned in 1732 by Pope Clemens XII, the fountain was completed 30 years later and christened by Pope Clemens XIII. It depicts the sea god Neptune in the centre, amid two mythical tritons – one of who is wrestling with a flaming horse depicting deadly seas, while the other symbolises the quiet ocean by blowing a horn made of shells. The fountain found film fame in La Dolce Vita by Fellini, in the scene where Anita Ekberg bathes in it at midnight. Another talking point is the old tale that if a visitor tosses a coin into the Trevi, they will return to Rome once again. 2. 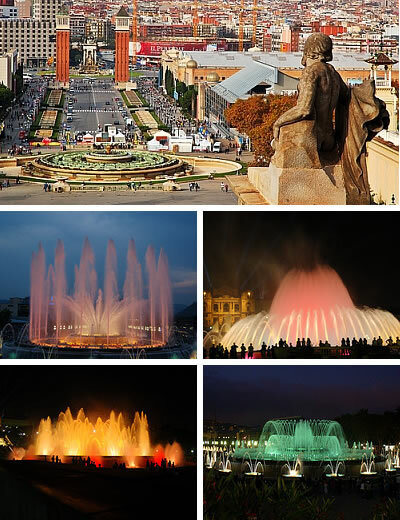 Barcelona – Built by designer Carles Buigas in 1929 for the Great Universal Exhibition the magic fountain of Montjuic. Built in 1929 for the city’s Great Universal Exhibition, by renowned designer Carles Buigas, this fountain can be found between Placa d’Espanya and the National Palau. Thousands of people flock to the fountain to marvel at its incredible nightly sound and light show, making it a valuable addition to the amazing city of Barcelona. 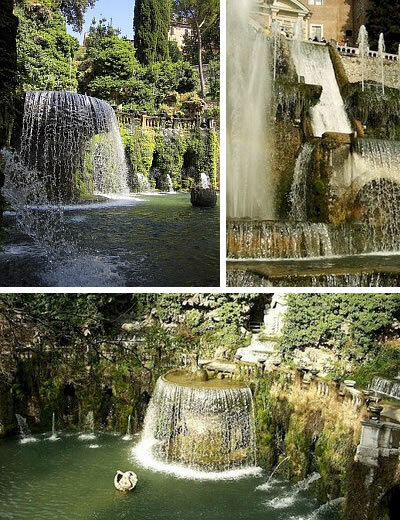 Also known as the Tiburtine Fountain, this is a major reason to visit this ancient and beautiful Lazio hill town, quite apart from the ruins of the villa of the Emperor Hadrian and the sumptuous gardens of the Villa D’Este. The fountain itself symbolises the many different waters in the Tivoli region. There’s 1,001 reasons to visit Vegas, the gambling, glitz and entertainment capital of the USA and most probably the world. 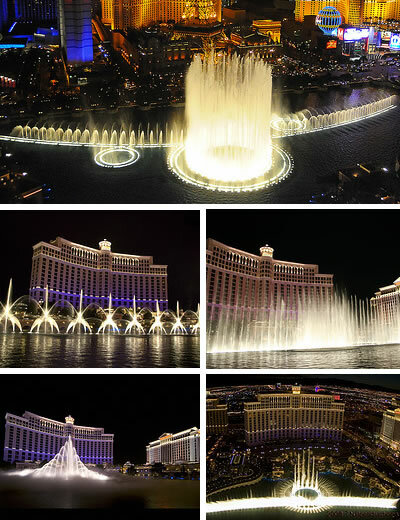 Just one of the stunning sights to ooh and aah over is the Bellagio Fountains, with a dazzling array of 1,214 water jets! These see the waters spouting to over 460 feet in the air, and when combined with the regular choreographed musical spectacles, you will soon see why this fountain has been shown in any films, TV shows, classic photos and magazine articles on Sin City. It has also become a very popular spot for holidaymakers to propose to their loved ones. An underground fountain, this one, and found in the depths of the gigantic Suntec shopping mall, the largest commercial centre in the city state. Believed to be the biggest fountain in the world, this bronze juggernaut looks like five tower blocks in the form of a hand clawing its way out of the ground. An unforgettable sight. 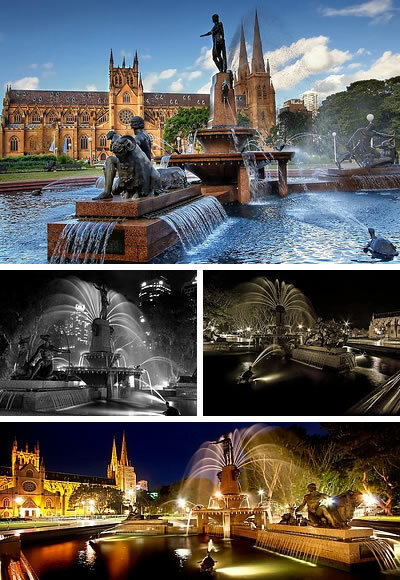 In the city centre’s peaceful Hyde Park can be found Sydney’s most popular fountain, first unveiled to the public by its Lord Mayor Samuel Walder in 1932. French designer Francois Sicard took his inspiration from the images found in the arts and writings of Classical Rome and Greece, which is why the centrepiece of the fountain is the Greek god Apollo, cast in bronze and surrounded by a menagerie of mythical beasts and characters from legend, all playfully spraying water. The fountain was commissioned to honour the alliance between Australia and France in the First World War. Look at any tourist brochure, guidebook or leaflet about the Swiss city of Geneva, and you’ll find a picture of this mighty water jet. Its iconic status is well-deserved, however, as it takes full advantage of its location at the place where Lake Geneva meets the Rhone River, to blast water into the sky at heights of 460 feet at a velocity of 124 mph. This means that it can be seen from most places in the city. Usually only in operation between May and September, it also comes to life in March for Geneva’s famous Motor Show. When visiting the Russian capital, don’t forget to venture to the vast All-Russian Exhibition Center – a complex featuring a huge commercial centre, a leisure zone and numerous exhibition halls. What also makes this place so essential is the centrepiece of the octagonal Friendship of Nations plaza. 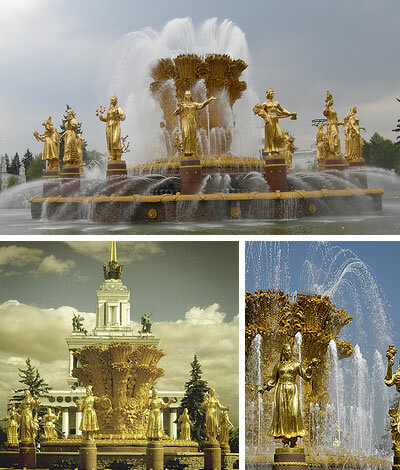 The fountain is composed of 16 golden statues depicting beautiful maidens dressed in the national costumes of all the former Soviet republics. This attraction certainly boasts one of the strangest names of any fountain in the world. It is actually a revered Buddhist holy site, found in the capital city of Shaanxi province, one of the oldest cities in China. The pagoda itself was built in 652 AD under the auspices of the Tang Dynasty’s Emperor Gaozong, and can be found in the city’s southern district. As well as a place of pilgrimage, it is famed for the fountain – the largest musical fountain to be found throughout Asia. 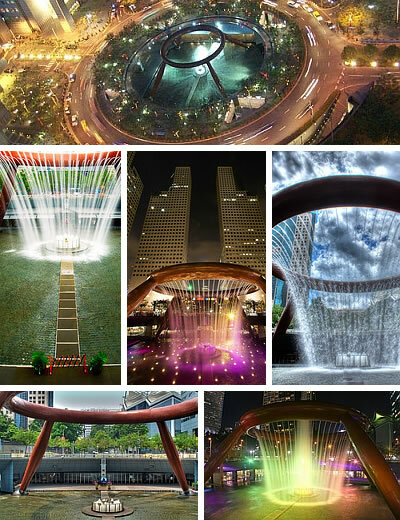 To fully appreciate its splendour, such as the world’s longest light belt, visit at night to see the fountain lit up in a magical multitude of lights. 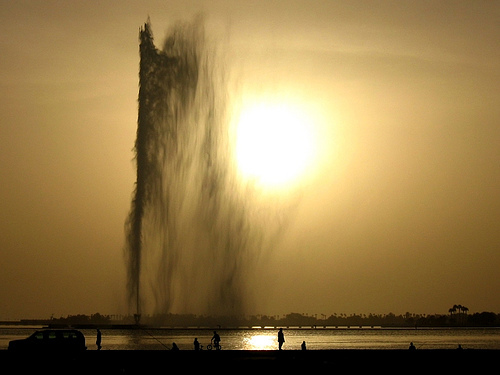 This Saudi Arabian fountain shoots massive jets of water over a 1,000 feet in the air – that’s higher than the Eiffel Tower! 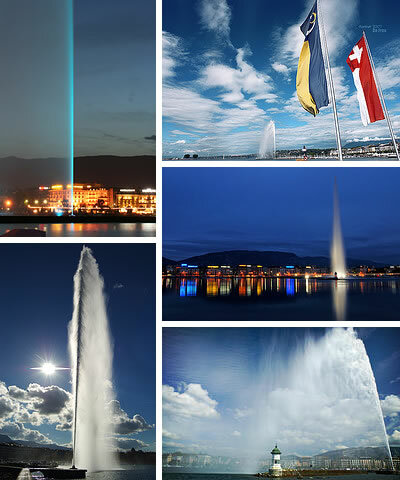 – making it the world’s highest fountain. Driven by a trio of huge and powerful pumps, capable of delivering 165 gallons of water every second at a velocity of 233 mph through five-inch nozzles, it is the epitome of controlled power and a must-see for anyone visiting the Saudi kingdom. 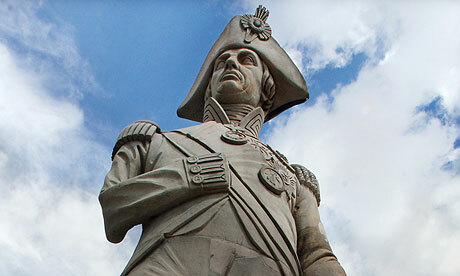 Britain has many hidden marvels Statues placed across the country. Many supported and funded by local councils or even lottery funded. Providing a fascinating look into the artistic talents of the British isles. A contemporary sculpture standing at an impressive 66ft tall and an even more amazing 177ft wingspan. 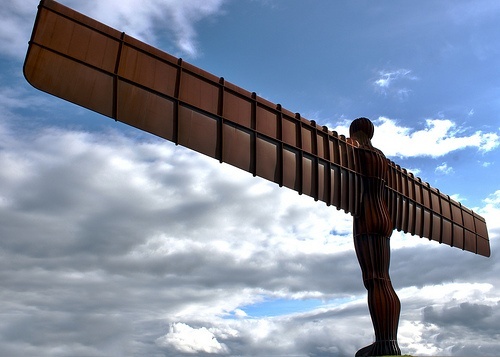 The angel of the north can be seen from local motorways on your journey through the north east. It is located in Gateshead in Tyne and Wyre. 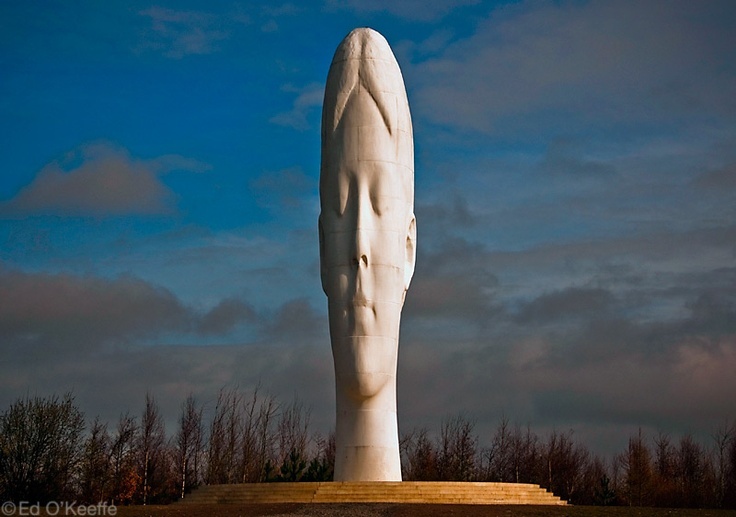 Costing approx 1.8 million this Statue by Jaume Plensa in Sutton, St Helens, Merseyside. It was funded by the Big Art project in coordination with the Arts Council England. 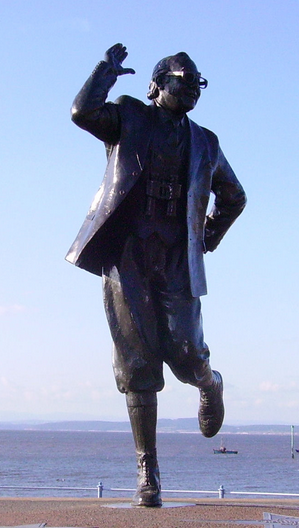 It is located on a spot referred to in the 1950s by Churchill as “where my statue will go”. Unveiled by his widow Lady Clementine Spencer-Churchill in 1973, the unveiling was attended by the serving Prime Minister and four former Prime Ministers, while Queen Elizabeth II gave a speech. 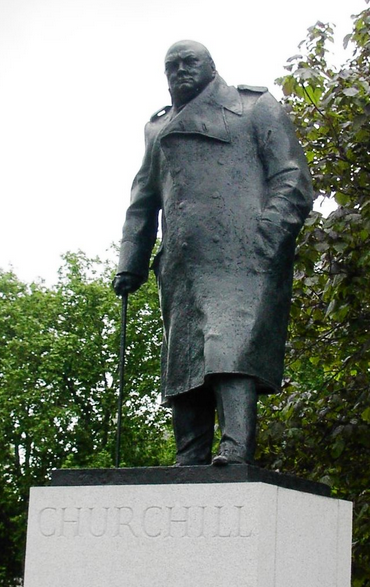 The statue is one of eight on the central green of Parliament Square, all of the others being of other well-known statesmen. Nelson’s Column is a monument in Trafalgar Square in central London built to commemorate Admiral Horatio Nelson, who died at theBattle of Trafalgar in 1805. The monument was constructed between 1840 and 1843 to a design by William Railton at a cost of £47,000. It is a column of the Corinthian order built from Dartmoor granite. The four bronze lions on the base, added in 1867, were designed by Sir Edwin Landseer. The most popular attraction in the Lancashire seaside town. Eric Morecambe’s Statue the famous comedian was opened by the Queen in 1999. Although some garden ornaments do look good enough to eat, you’d be advised to refrain from actually taking a bite out of them – well that’s not the case at the White House. The US President’s residence unveiled its Christmas decorations for this year today, with the theme being “Joy to All”, and First Lady Michelle Obama revealed that at their heart lies a 300lb gingerbread replica of the White House itself in the State Dining Room. The model is incredibly detailed, including a marzipan rendering of the building’s kitchen garden – complete with garden statues. Another set of garden ornaments portray the much-loved “First Dog” Bo, a Portuguese water dog. All in all, there are 40 “Bo-Flake” ornaments throughout the White House, with cut-out images of the pooch, as well as a full life-size replica – holding fairy lights in his mouth – in its East Garden Room, as well as a massive statue of Bo next to the gingerbread White House. Ms Obama was asked about the decorations when unveiling them before an invited audience of military families, saying that the many Bo statues reflected his high standing. “He’s almost as big as the house. He is such a huge personality,” she declared.